The "missing in action" is detained. 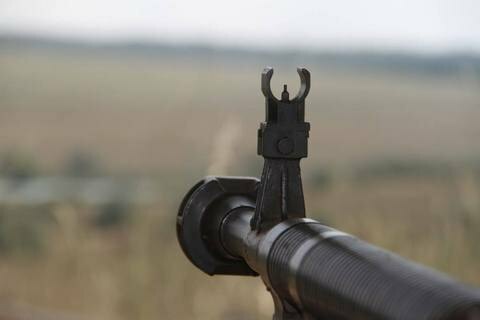 The 13 September reports by ATO headquarters that two Ukrainian soldiers were killed and five injured in a clash with an enemy sabotage reconnaissance groups proved false, Ukrainian media claim. Dumska, an Odesa publication said on 14 September that the servicemen of the 28th Odesa Mechanized Brigade were in fact killed by a deserter. Other media, including Mykolayiv web publication Prestupnosti.Net have stated the same. Mykola Kolesnyk, a politician from Krivyy Rih wrote on Facebook that the suspect, who "killed two people and wounded five" was Viktor Holovan, 41, of Krivyy Rih. Roman Donik, a volunteer, in turn wrote that "Holovan, who went AWOL with his weapons" has been detained. On September 12 afternoon. the headquarters of the ATO stated that the position of one of the units of the Armed Forces of Ukraine near the village of Luhanske were attacked by a sabotage and reconnaissance groups of militants. In the ensuing melee, two Ukrainian soldiers were killed and five wounded. One Ukrainian trooper, who was reported missing in action, was a obviously the deserter. On the next day, the ATO spokesman Oleksandr Motuzyanyk said that the clash took place on the left bank of the Siversky Donets River, which is controlled by the Ukrainian military. He acknowledged that combat actions have extremely rare there.